A new trailer for that three-part series dropped on Friday. When Laura Ingrahm told LeBron James to “shut up and dribble,” she probably didn’t think she’d be defining the name of his next big media project. James not only didn’t take her advice but he leveraged that phrase as the name of his new documentary series on Showtime. A new trailer for that three-part series dropped on Friday. If you had any illusions that this was going to be a vanity project strictly about James (which also means you haven’t read any of the press releases about the show), that was put to bed as soon as the trailer started playing. The three-part series, which was produced by SpringHill Entertainment partners LeBron James, Maverick Carter and Rich Paul, will trace the NBA‘s place in culture and players’ roles in facilitating social change. From Bill Russell to Kareem Abdul-Jabbar to Dr. J to Charles Barkley and up to Steph Curry and LeBron himself, various athletes and eras will be dissected. The series will be narrated by former ESPN personality and current The Atlantic writer Jemele Hill. Gotham Chopra is directing and co-producing as well. At a time when basketball players, in particular, have stopped being invited to the White House after winning championships, it’s an extremely timely topic to dive into. Just as with the previous trailers, the tone for the series is clear. James, Hill, and many of the other athletes featured in the series have been high on the radar of the “stick to sports” crowd for some time now. In a way, they’re doing just that, putting a laser focus on sports…and how it intersects and impacts politics. We look forward to the nuanced Twitter conversations to follow. 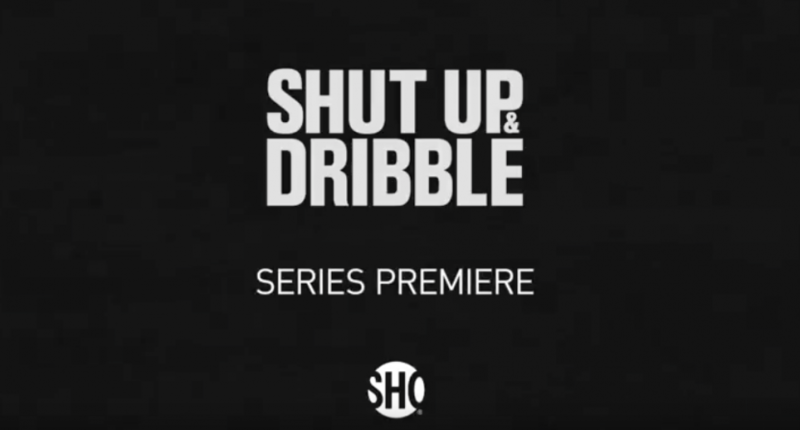 Shut Up and Dribble premieres on Showtime on November 3 at 9 p.m. ET/PT.